Asking your closest friends to be part of your magical day can be a little overwhelming. With so many items to choose from, finding the right items and gifts can be quite the quest involving a lot of time and creativity. But don’t stress! I teamed up with my friend who happens to be an amazing event planner, Ashley Graham, and we came up with 10 fabulous items that will absolutely get them excited and ready to stand by you on your big day. 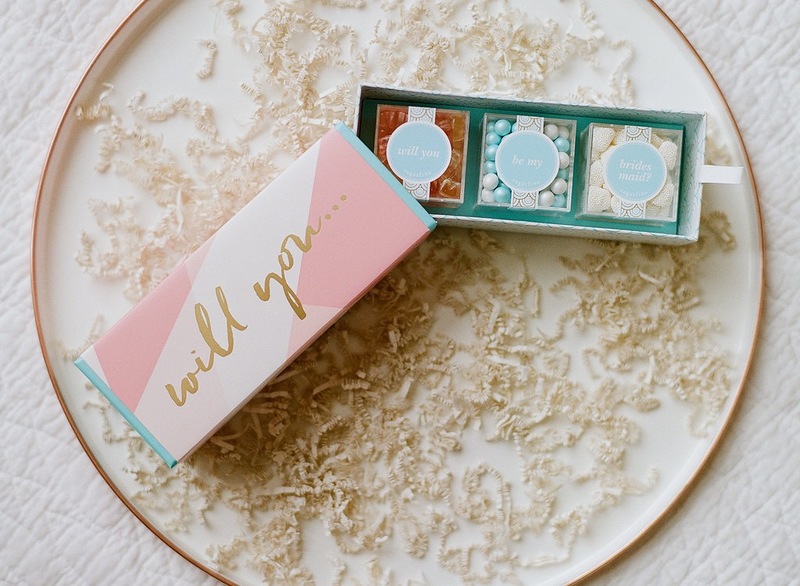 Sugarfina Bento Box – Something sweet for your darling friends. Who doesn’t love a little sugar rush? Sugarfina Bento box is perfect for the taste buds with champagne bears, Sugarfina pearls, and champagne bubbles. 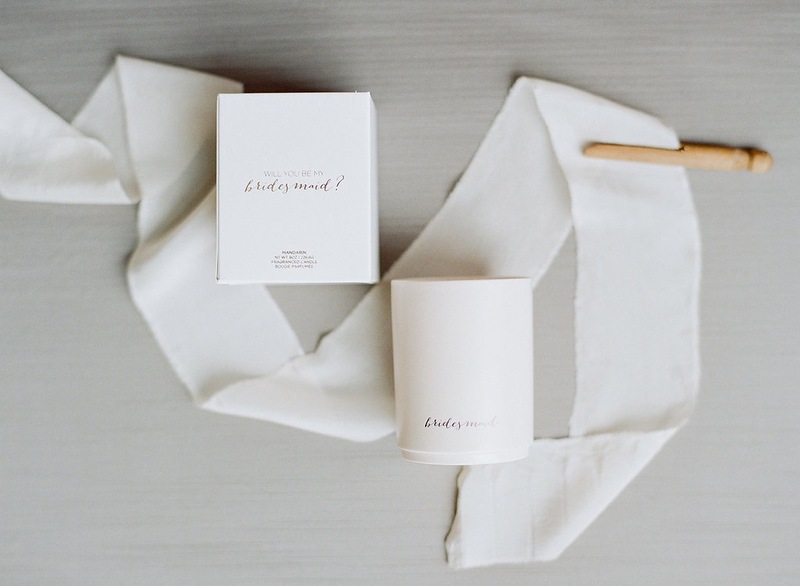 Bridesmaid Candle– This soft, smooth candle scent is perfect for bridesmaids to sit back, relax and enjoy planning with you. 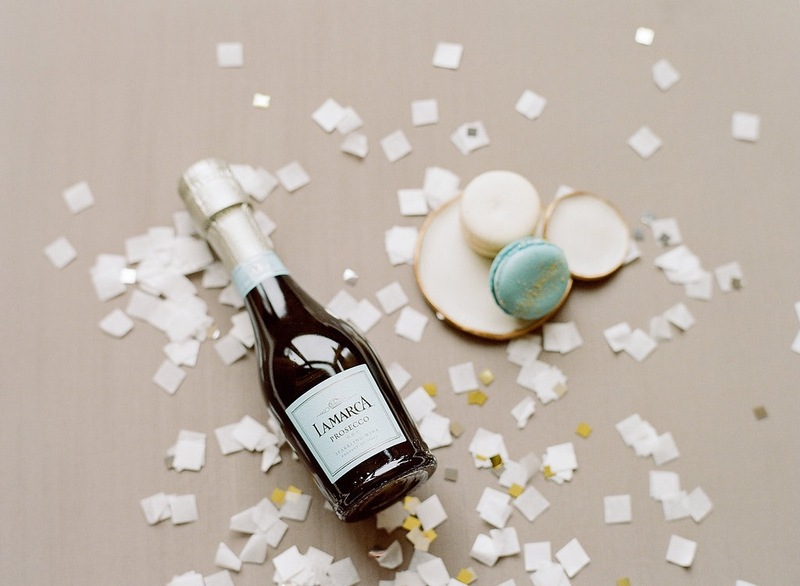 Champagne and Macaroons – Pop the bubbly! 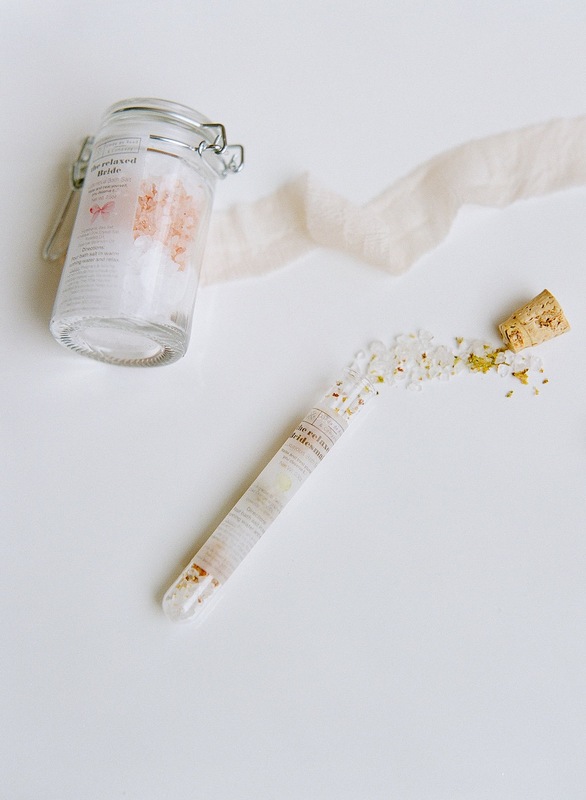 Every celebration deserves some bubbles, especially when your bridesmaids accept their role in your wedding! 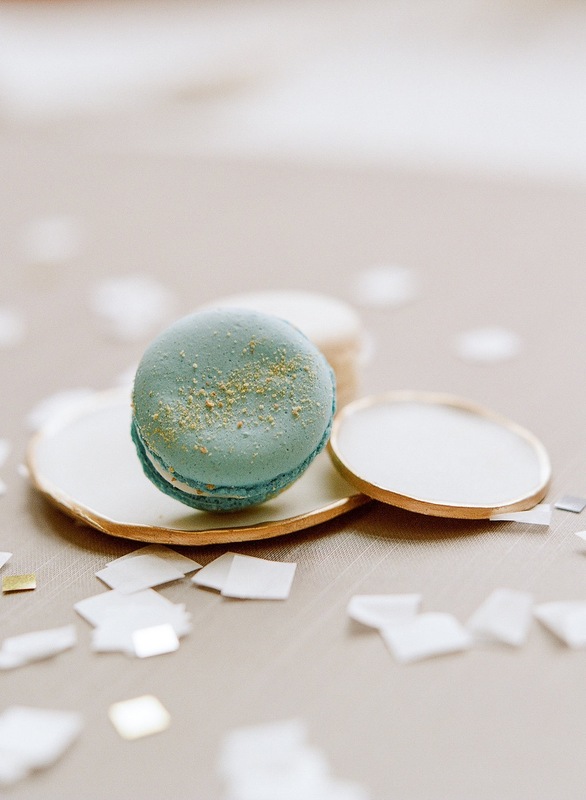 Because macaroons may be the chicest cookies around, it pairs perfect with a nice crisp glass of champs. Cheers! 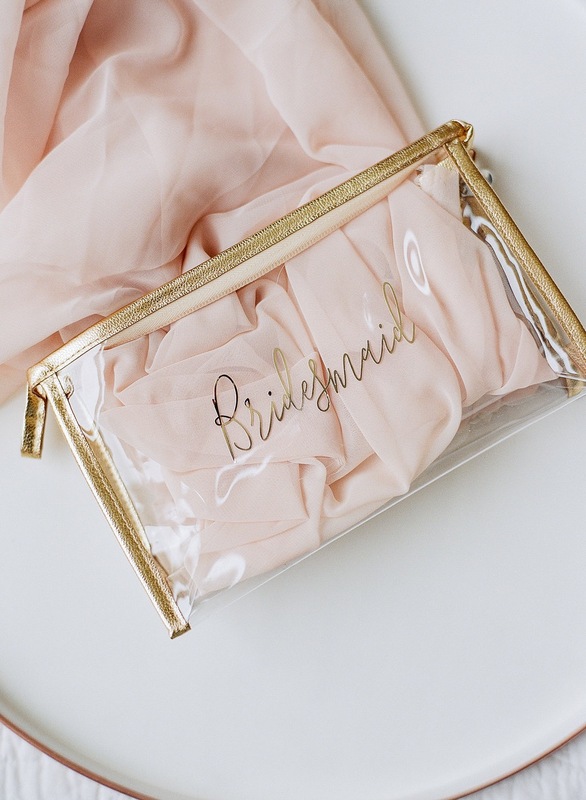 Makeup Bag– perfect for wedding day touch ups and for your girls to have everything they need in one space. These personalized bags can be designed however you like. Arthur George Socks– You’ll have your girls covered from head to toe! 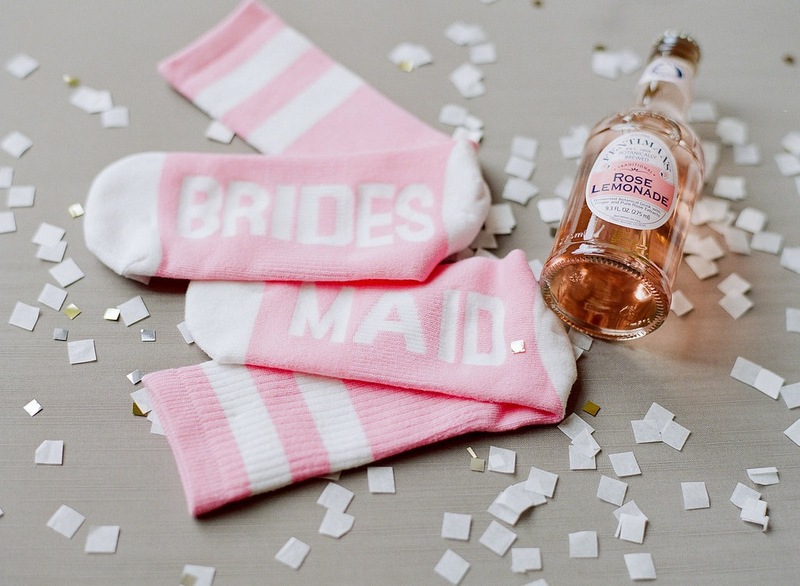 These super cute bridesmaids socks will help keep everyone from having cold feet. Nail Polish- what a perfect way to announce your wedding color to your ladies! Your girls will be set to go with the perfect color to match their dresses, as well as take with them for a ladies day at the salon. 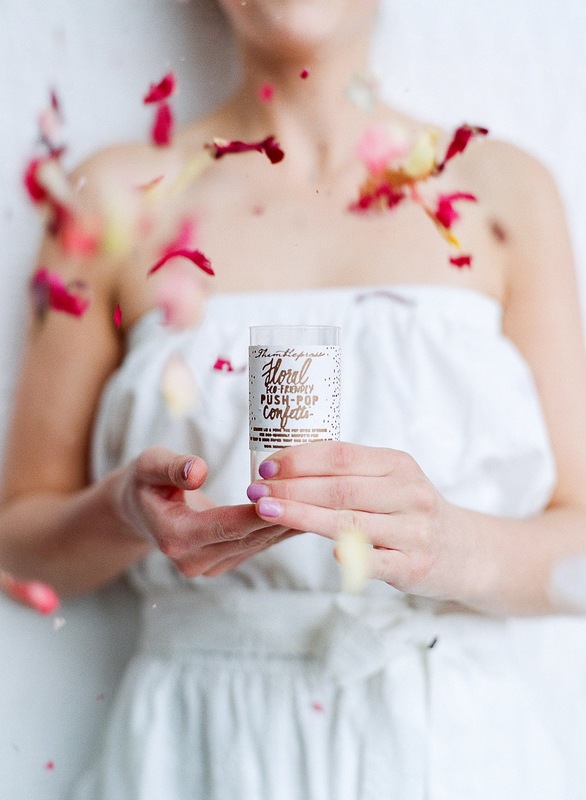 The Relaxed Bridesmaids– These beautiful bath salts are perfect after a stressful day. Allow your ladies to take time for themselves to enjoy a sweet soak. Sleep Mask- Who can get their beauty without the perfect sleep mask? It is important your girls get their sleep, even though we know it’s almost impossible to sleep with a room full giddy ladies the night before the wedding! 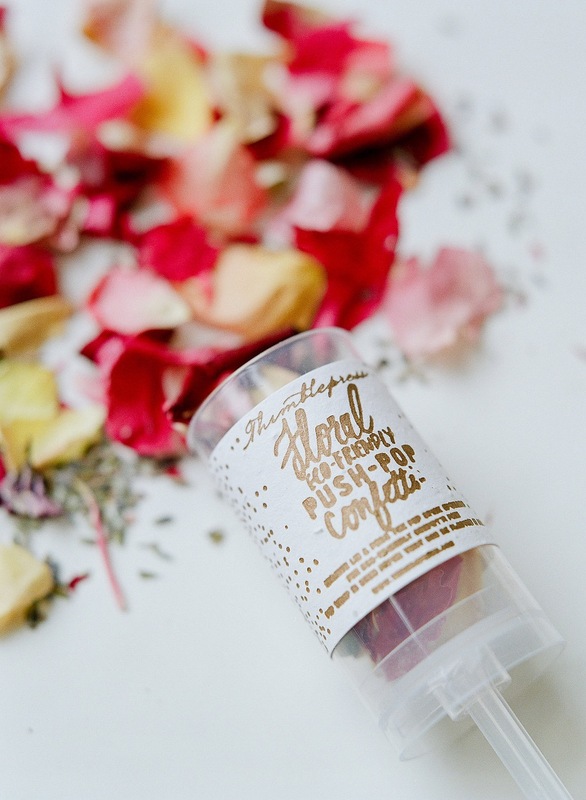 Petal Popper Confetti- This eco friendly confetti not only smells amazing, but is beautiful inside and outside the package. Have fun with it and capture a snapshot of all of them popping the confetti! Plump Pretty Sugar Onesies – With all the tasks and things to get done the morning of the wedding, this romper is picture perfect for getting your hair and makeup done, coffee runs, and roaming around the venue without feeling like your girls are in their Pjs. « Deal of the day! 12 Comments on Will You Be My Bridesmaid? I love it 😘 just keep on posting Laureen. 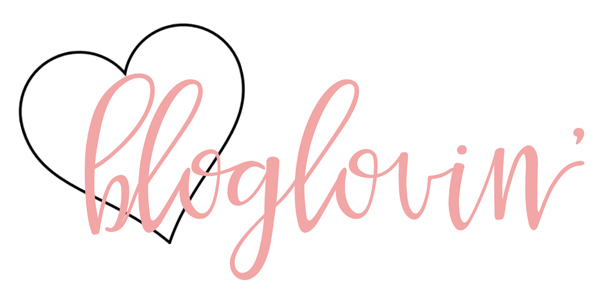 Im pretty sure that all readers will love your posts/blogs. Where is the actual box you put everything into from?? It’s so cute! where is that gorgeous serving tray from in picture 1 with the sugarfina bento box?! The kit looks so beautiful! This is such a cute kit! Such great ideas, the white onsie at the end is adorable! This is such a cute kit, the white onesie is adorable! This is beautiful and so thoughtful! 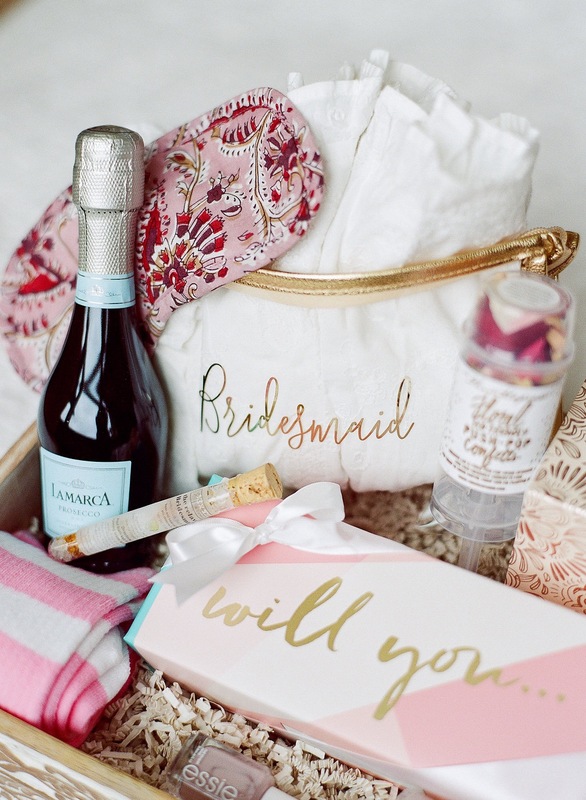 What a lovely way to ask your bridesmaids! My niece is getting married, and I can’t wait to show her this post. Absolutely adorable ideas! Thanks for posing! 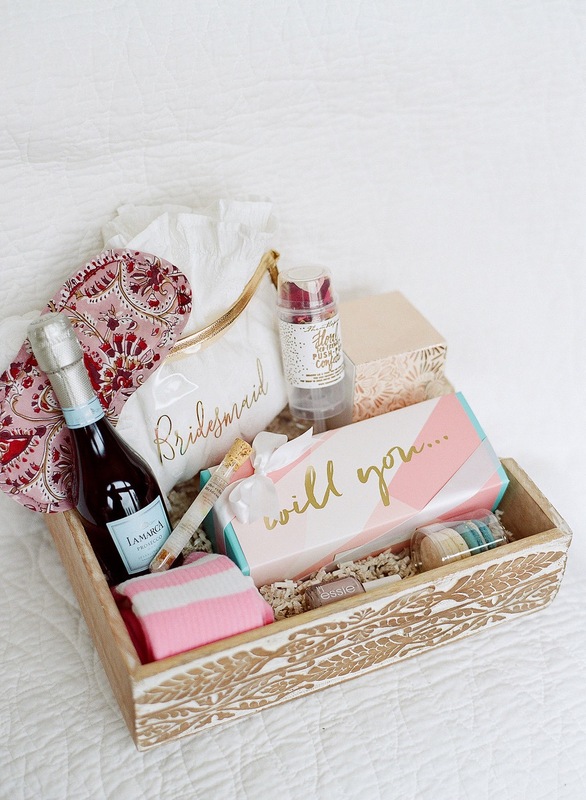 Love these sweet little things for bridesmaids! I am currently putting together my own box for my girls so this definitely helps!